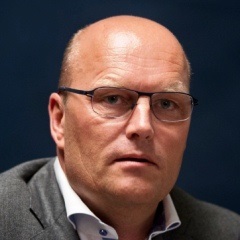 Copenhagen - Saxo Bank's CEO has urged the Tinkoff-Saxo cycling team to find a solution to the crisis which has seen Danish team manager and former Tour de France winner Bjarne Riis suspended. Danish media reported on Sunday that the 50-year-old had been suspended over poor team performances but Tinkoff-Saxo issued a statement on Tuesday saying that was not the reason. It added that Riis had not been "actively involved" in the team's activities since Sunday but did not say why. Saxo co-founder Lars Seier Christensen used Facebook to reassure fans Saxo would honour its sponsorship commitments and to call for Riis and Tinkoff to solve the current crisis. "I obviously respect that as the owner of the team, Oleg (Tinkoff) is entitled to make the arrangements that he wants to, but I would also like to emphasise that Bjarne Riis' proven leadership is a significant driver behind Saxo Bank's sponsorship of the team throughout eight seasons," he wrote. "I have spoken with the parties involved and my assessment of the situation is that I find no reason why this matter cannot be resolved under amicable conditions if the desire is there," Christensen added, offering to mediate if necessary. "I urge Oleg, Bjarne and the team management to support this process as we can all agree that the most important thing for the moment is to think about the team and the riders as a whole." Danish media had reported that Riis was under fire over recent poor performances by the team, which announced on Monday that the Dane, who won the Tour in 1996, had been suspended. Tinkoff-Saxo leader Alberto Contador said on the sidelines of the Tour of Catalonia on Tuesday he did not know anything more about the Riis situation than was in the team's statement. "Above all we want to know what is really going on... and I think we need to know why this decision was taken," Contador told reporters. "During the four years that I spent with him (Riis) in the team he was a very important figure in my career," added the Spaniard, a double Tour de France champion who this month signed a new one-year contract through to the end of next season. Christensen revealed that Saxo had not been consulted about suspending Riis and that he intended to visit the team during next month's Tour of Flanders to see if he could help. "It is my true hope to experience this event with both of my business partners and friends, Oleg and Bjarne," he wrote.